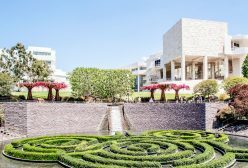 Sun drenched days, mild summer nights, endless sand beaches, new hip restaurants, breweries, contemporary art and lush flora: Welcome to new Orange County! 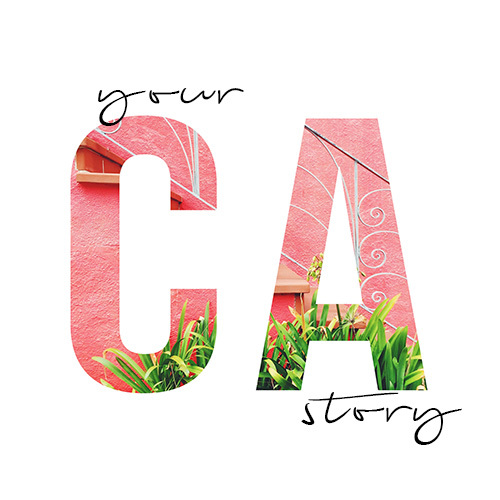 In our first special week installment, we are heading to Orange County to show you that this sunshine filled spot of California is more than superficial suburbia, spoiled rich kids, and bored housewives. (Yep, we blame it on the TV. Thank you, The OC and Real Housewives of Orange County). 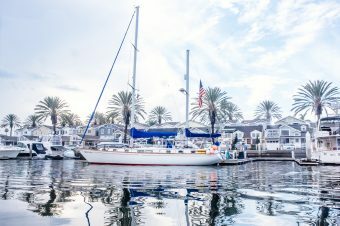 The new Orange County and its 43 towns are burgeoning with new restaurants, microbreweries, contemporary art galleries, local shops and so much more. And then, there is still nature, and nobody can argue the fact that Orange County has some of the best beaches and outdoor places in California. 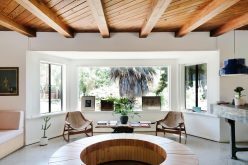 Orange County is more than the TV lets you believe; from the pastel homes in Laguna Beach to surf culture in Huntington Beach and up and coming art scene in Anaheim. 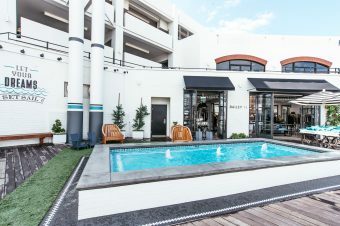 Over the next week, we will show you how to make most out of your Laguna Beach weekend, where the cool kids hang out in Costa Mesa, what’s new in Newport Beach and that Anaheim is more than just home of Disneyland ( although we love Disneyland!). We will share or favorite food spots and secret beaches where the locals sunbathe (we got it from a bartender who strictly wanted to stay anonymous). We have itineraries for you and much more! So stay tuned, follow along on Instagram or sign up for our newsletter, so you are always up to date what’s happening in the Golden State. 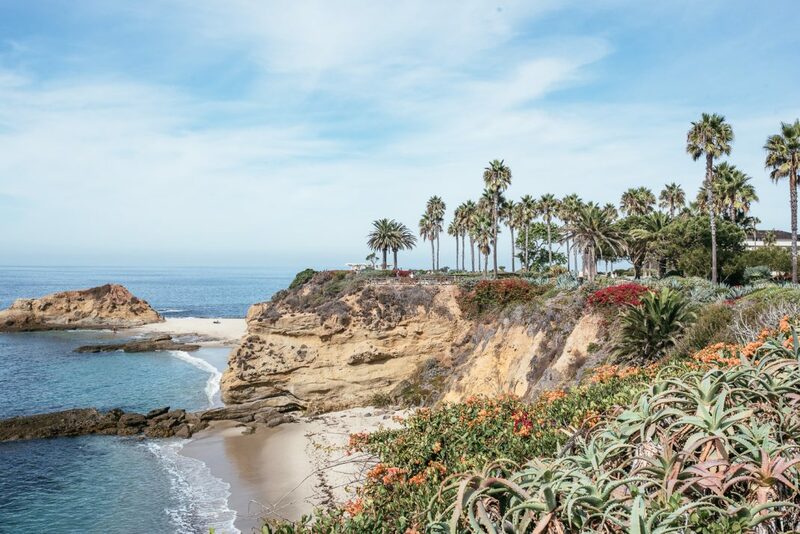 Although Orange County consists of more than 40 towns, somehow Laguna Beach pops up in our minds the second someone says OC. And it’s not without reason. The coastal town nestled on Highway 1 embodies everything you need for a relaxed weekend to rejuvenate and recharge. Finding a place to sleep. his task won’t be difficult unless you cannot decide if you want your hotel to be directly on the beach or maybe 2-3 blocks away. We know it’s a tough decision. 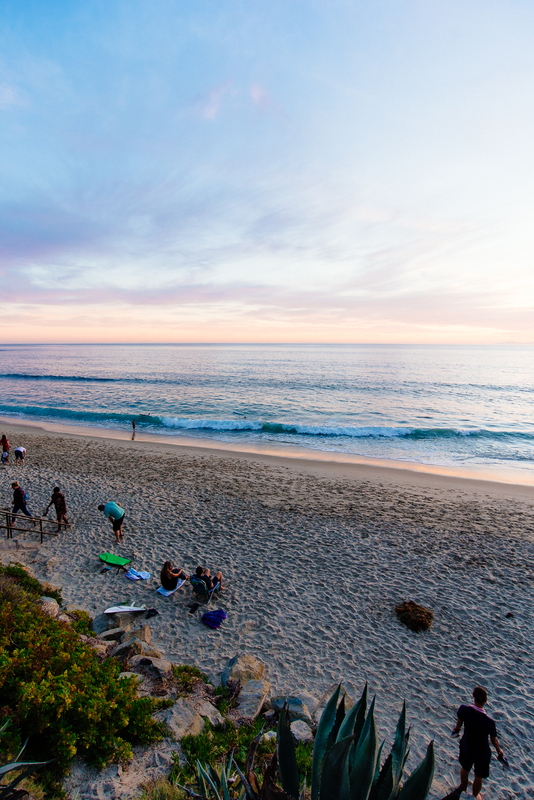 Laguna Beach is sprinkled with some great hotels and Airbnbs for every budget. 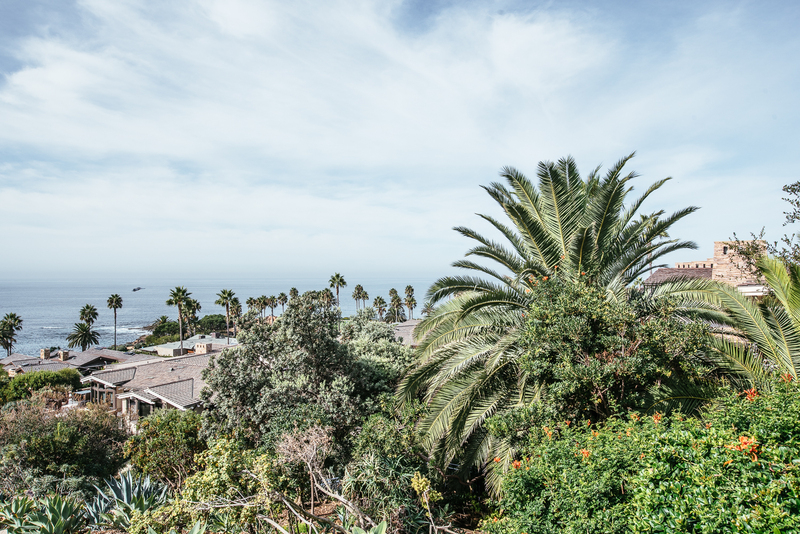 Utterly located to explore the rest of Orange County, Laguna Beach is usually our top choice when staying in this area. Because by end of the day you are here to experience some California Dreaming. 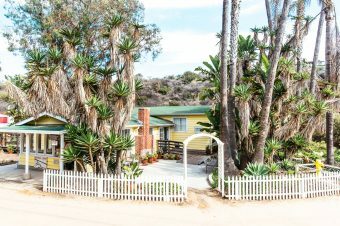 Our current favorites for a stay overnight are Casa Laguna, Pacific Edge Hotel, Laguna Beach House and this spacious vintage Airbnb. *The cozy Laguna Beach Airbnb. it’s time to get some food. nd your options are endless. 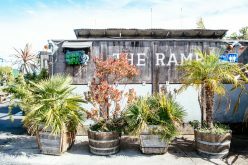 From upscale fine dining to casual taco places, there is something for every taste buds and pockets. We love starting our day with some quick, easy going omelets at Orange Inn. The small shack is a local’s favorite since 82 years! Yes, you read that right. According to their website, they started the juice bar craze in California, serving smoothies since 1931. There are only a few spots inside, but the circulation is fast. Most of the folks here grab their coffee or smoothie to go, and off they go to work or to catch the first wave. 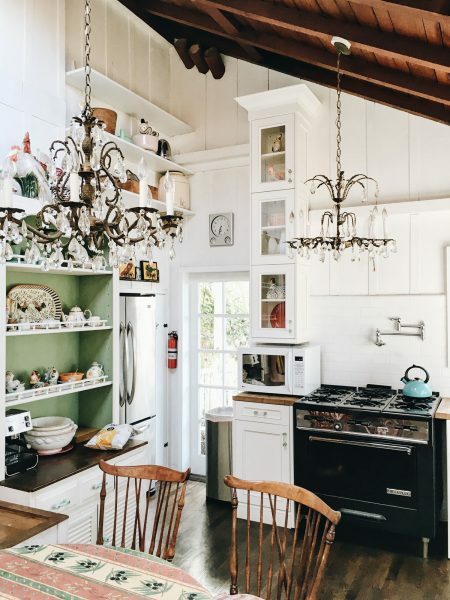 If you have more time and you want to feel that fresh morning breeze, check out theDriftwood KitchenDriftwood Kitchen. Indulge in their Laguna Beach omelet with Dungeness crab and sip on the Bloody Pirate, their interpretation of Bloody Mary. This spot is great also for lunch and dinner. 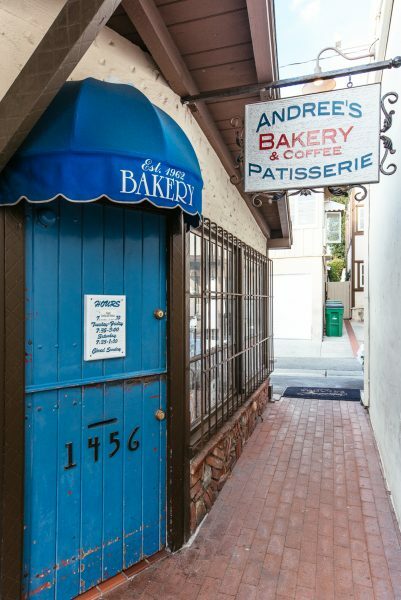 Tucked away in a tiny alley is Andree’s Patisserie. The small bakery with the cobalt blue door has been kneading, baking and serving flaky, buttery dreams for over 32 years. The owner, Ron, knows what every of his regulars drinks and wants for breakfast. That’s service. Make sure you arrive early, they close at 3 pm. Celebrating a special occasion? Then splurge and get a good steak atSelanne Steak Tavern. Yep, if you are into hockey, then you recognize the name. The co-owner is the Anaheim Ducks hockey legend, Teemu Selanne. Selanne is a modern spin on a traditional steak house serving hearty dishes from Ribeye steak to Main lobster. For your daily dose on açai bowls, frozen yogurt, smoothies and light breakfast, try outActive Culture. They have few outdoor spots, where you can sit relaxed while watching the sunset. For ladies and gentlemen who like to lunchZinc Coffee and Market is the place to be. 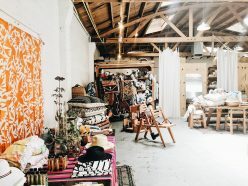 The casual lunch spot already has three locations in SoCal and also offers a well-curated market stocked with cookbooks, provisions and home goods. aguna Beach is a paradise for every outdoor fan. Whether you like watersports or staying on land; there is something for everyone. From kayaking to paddle boarding to golf and hiking and of course, beach volleyball — the choice is yours. If you have Classpass, we highly recommend browsing what classes you can attend. Our staff tried everything fromyoga on the beach to spin ‘n’ row ( get ready to sweat like a lot!) to paddle boarding ( yep, this was on Classpass, too). And when we are already talking paddle boarding, this is a great activity to kick off your day. It’s relaxed, almost meditative, you work on your posture and balance, and you enjoy another perspective. If you are doing any water activities, we recommend do them early. The more the day progresses the hotter it gets, the bigger your chance of sunburn and dehydration. Hikers and bikers, there are plenty of miles for you, too. No matter if beginner, advanced or intermediate, the area around Laguna Beach is loaded with hiking trails. Our favorites for stretching legs and making that fitbit burn is Top of the World, El Moro Canyon, and Whiting Ranch trail. Always make sure you have enough water with you, and your face is slathered in sunscreen. The California sun ( even behind clouds) can be remarkably mean. ou don’t need to be into fine art galleries to spend some bucks on shopping. Laguna Beach is packed with some great places to buy something for yourself, your significant other, your mom and again yourself. 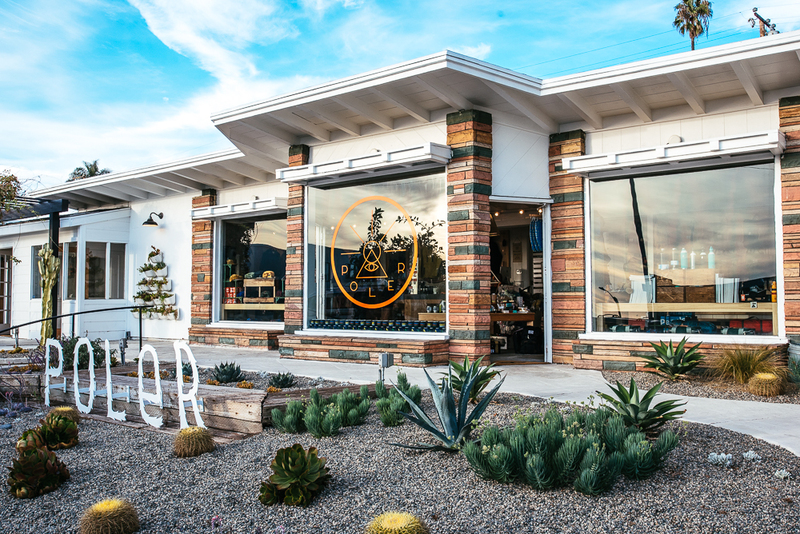 The latest cool addition to LB’s shopping scene is the outdoor outfitter,Poler, from Portland. The casual cool camping vibes are written all over their spacious location on Coast HWY. The shelves are filled with camping gear, outdoor clothing, and other surviving-in-the-nature gimmicks. There is even a canoe hanging on the wall in the backroom of the shop, which is more than a room, it’s large, light-filled space with a seating area decorated with benches, tables, and books; stop for a second and rest. Another import from Portland sold at Poler — the famous Salt & Straw ice cream. Grab a pint and walk over to the beach to watch the sunset. What do you need more? For all things carefully curated artisan products, cool kids fashion, toys, home goods and jewelry,Yolk is the destination. 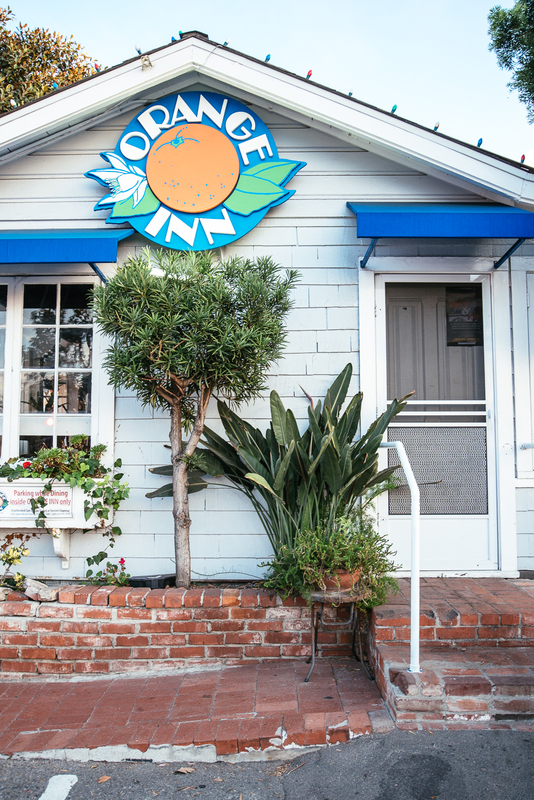 Nestled in a small cottage on Coast Highway, Yolk is a gifts paradise. The colorful store carries brands littala, Marimekko, Menu and many others. If you happen to be in LA in Silverlake, they have a store there, too. Started and based in Laguna Beach is the jewelry brand,Gorjana. The brand has been a household name for ten years when it comes to beautifully crafted jewelry. The airy style of their fine necklaces, bracelets, and rings is perfect for every occasion. And we are not 100% sure, but Gorjana might be responsible for the jewelry layering trend. Make sure to stop by. What is a visit to Laguna Beach if you don’t bring a small coastal accent home. From lobster embroidered napkins to driftwood signs and whale-shaped salad servers,Tuvalu has you covered with everything you admired in Coastal Living. It can be a thin line between cheesy and cool when it comes to coastal decoration, but Tuvalu manages to find only the cool stuff. Get that whale shaped salad servers; we know you like them. 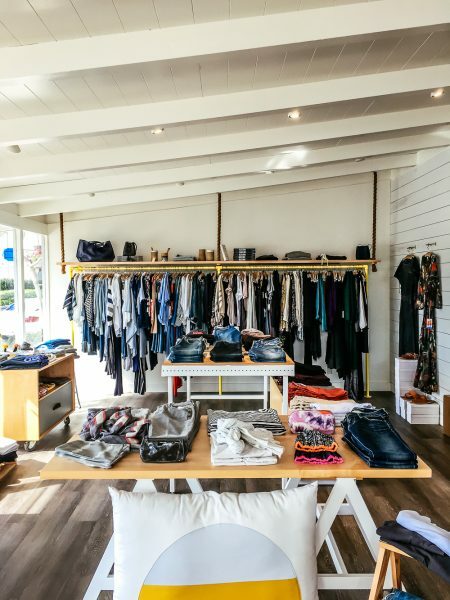 There are some brands that represent the new beachy vibe in a cool, modern look, and these brands like Ulla Johnson, Free City, James Perse and many others can be found atLaguna Supply. Oh, and don’t forget to catch the sunsets — as many as you can, they are magnificent. 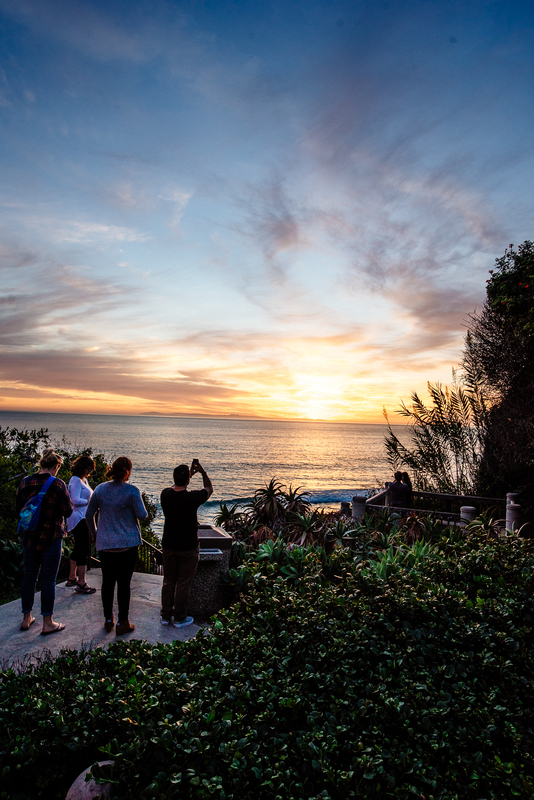 We hope our guide will help you explore Laguna Beach from its best side and next time you are there, tag us on Instagram with @californiaweekend + #californiaweekend. We want to see what you are discovering! 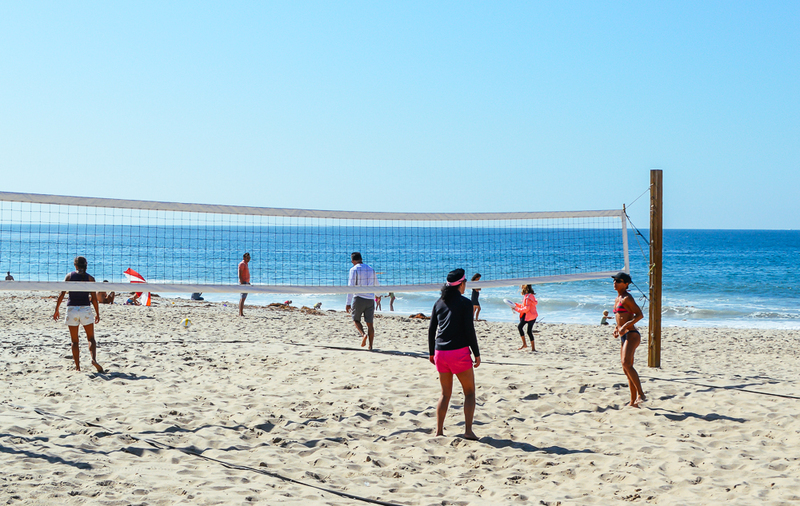 For more information about Laguna Beach visit their official site: Visit Laguna Beach.